With our current media depicting the plight of thousands of refugees it's no wonder that children are starting to ask these questions. Every day they overhear conversations, see images or catch snippets of news. Trying to explain the current global situation to young children is of course by no means easy, but I don't think that means it should be ignored, or seen as irrelevant to them. A simple & meaningful way we've used to explore the subject of refugees with young children is with the help of a special little bear who has a particular penchant for marmalade sandwiches. Paddington Bear is known & loved by children the world over, & of course one of the special things about Paddington is that he leaves his homeland to begin a new life in another country. 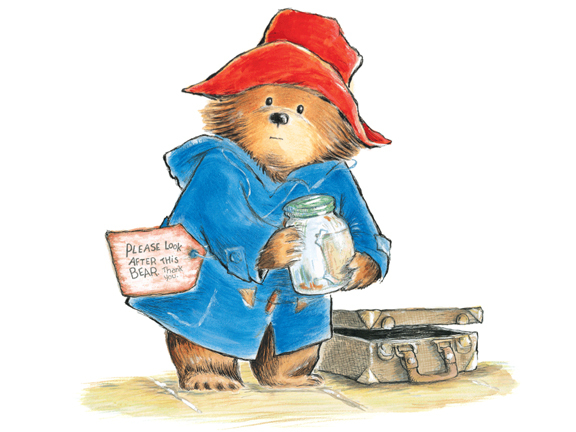 Michael Bond's classic story tells how Paddington bear fled from 'darkest Peru' as a stowaway in a lifeboat taking with him only his hat, briefcase & marmalade. It goes onto explain that Paddington was orphaned in an earthquake which destroyed his habitat & he was then cared for by his Aunt Lucy. When she could no longer look after him & moved to a home for retired bears Paddington sets sail for England. "Long ago, people in England sent their children by train with labels around their necks, so they could be taken care of by complete strangers in the countryside where it was safe. They will not have forgotten how to treat strangers." 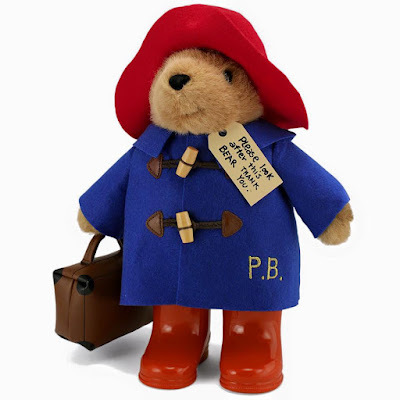 So with few belongings, just like the current refugees we see on the television & in the newspapers, Paddington arrives in a new country after a long & perilous journey. To explore Paddington's story a little more with young children we found using the following questions & ideas useful. I wonder how Paddington felt when he set off on his journey into the unknown? Was he frightened, cold, hungry? He must have felt alone & sad to leave his homeland & his only relative Aunt Lucy behind. I wonder how the refugees we see in the media are feeling? I wonder how we would feel if we had to leave our homes & everything we owned? I'm guessing Paddington was very brave to make that journey. I think he must have been very desperate to start a new life to take such a risky trip in a boat across the sea. When Paddington arrived in London he still had a note attached to his coat that his Great Aunt Lucy had written for him. In the story books Paddington is found by the Brown family at Paddington Station, & although they can't understand his bear name or his bear language they decide to look after him & welcome him into their home. I wonder how we can help those people we see in the news who are leaving their homes for different country? Those people who have left their homeland behind to find a safe space for their families to stay. What can we do? There are lots of things we can do, here are just a few that any family, school, or group could do to help. 1. Donate money to a charity which is helping to support refugees & Syrian families. Here are a few international ones, but check your local media for any smaller local charities which maybe offering help. 2, Check your local area for any collection points for items to send to refugee camps. If you can't find one in your area check out CalAid or Kos Kindness for more information. 3. Host a bake/toy/book sale, or sponsored event. Why not ask your school if you can have a 'take a teddy bear to school day' or a 'Paddington day' & donate money to one of the above charities. 4. Share the story of Paddington. Share how strangers from another country recognised his need, & welcomed him as one of them. If you have a cuddly Paddington toy you could ask individual children or a class to look after him & consider how they could help him & make him feel welcome. 5. See if you can find where different countries are on a world map or world globe. Can you find where Syria is? If you're interested in finding out more about where refugees around the world are travelling to & from you may find this newspaper article helpful. 6. Join in with Project Paddington & share special bears with children who may no longer have theirs. Click here for more info. Sharing the story of Paddington with your kids can help them understand compassion, like that of the Brown family in the story. The care the Browns offer to the lonely lost bear who had nothing is a way of helping kids understand kindness & concern for others, even when people may seem different from us. It's also a great story to share with kids who are starting a new school term when there may be those who are feeling lost or lonely in a new school environment. 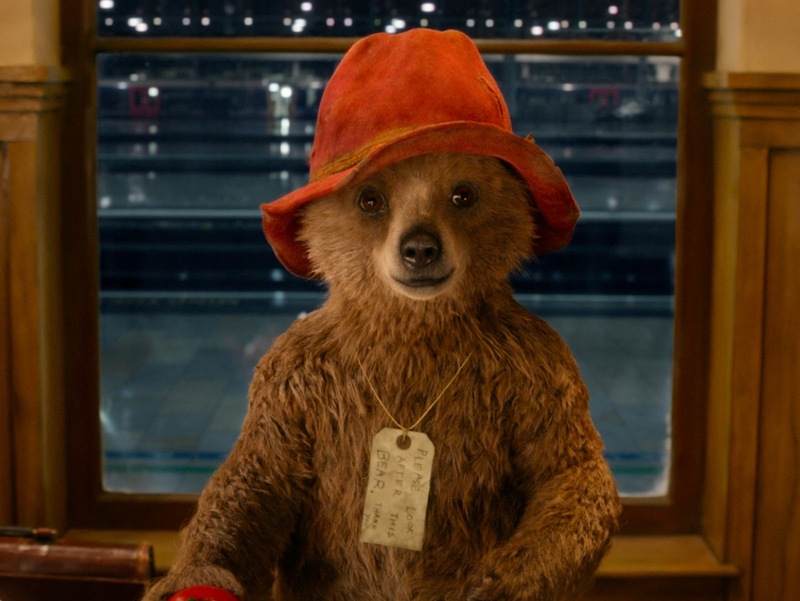 Paddington's story reminds us all how important respect, friendship & empathy are. I hope this little bear & his story helps you & your kids in some small way to explore the current situation, & encourages you to consider ways you might be able to make a difference.